[68:52] It is in fact a message to the world. Divine Commandments to All Jews: "You Shall Believe in This Quran." [2:40] O Children of Israel, remember My favor, which I bestowed upon you, and fulfill your part of the covenant, that I fulfill My part of the covenant, and reverence Me. [2:41] You shall believe in what I have revealed herein, confirming what you have; do not be the first to reject it. Do not trade away My revelations for a cheap price, and observe Me. [2:42] Do not confound the truth with falsehood, nor shall you conceal the truth, knowingly. [2:47] O Children of Israel, remember My favor which I bestowed upon you, and that I blessed you more than any other people. [2:48] Beware of the day when no soul can avail another soul, no intercession will be accepted, no ransom can be paid, nor can anyone be helped. [2:49] Recall that we saved you from Pharaoh's people who inflicted upon you the worst persecution, slaying your sons and sparing your daughters. That was an exacting test from your Lord. [2:50] Recall that we parted the sea for you; we saved you and drowned Pharaoh's people before your eyes. [2:51] Yet, when we summoned Moses for forty nights, you worshiped the calf in his absence, and turned wicked. [2:52] Still, we pardoned you thereafter that you may be appreciative. [2:53] Recall that we gave Moses scripture and the statute book, that you may be guided. As expected from the Creator's final message, one of the prominent themes in the Quran is the call for unity among all believers, and the repeated prohibition of making any distinction among God's messengers. If the object of worship is one and the same, there will be absolute unity among all believers. It is the human factor, i.e., devotion and prejudice to such powerless humans as Jesus, Muhammad, and the saints that causes division, hatred, and bitter wars among the misguided believers. A guided believer is devoted to God ALONE, and rejoices in seeing any other believer who is devoted to God ALONE, regardless of the name such a believer calls his or her religion. [5:44] We have sent down the Torah, containing guidance and light. Ruling in accordance with it were the Jewish prophets, as well as the rabbis and the priests, as dictated to them in GOD's scripture, and as witnessed by them. Therefore, do not reverence human beings; you shall reverence Me instead. And do not trade away My revelations for a cheap price. Those who do not rule in accordance with GOD's revelations, are the disbelievers. [5:46] Subsequent to them, we sent Jesus, the son of Mary, confirming the previous scripture, the Torah. We gave him the Gospel, containing guidance and light, and confirming the previous scriptures, the Torah, and augmenting its guidance and light, and to enlighten the righteous. [5:47] The people of the Gospel shall rule in accordance with GOD's revelations therein. Those who do not rule in accordance with GOD's revelations are the wicked. [5:48] Then we revealed to you this scripture, truthfully, confirming previous scriptures, and superseding them. You shall rule among them in accordance with GOD's revelations, and do not follow their wishes if they differ from the truth that came to you. For each of you, we have decreed laws and different rites. Had GOD willed, He could have made you one congregation. But He thus puts you to the test through the revelations He has given each of you. You shall compete in righteousness. To GOD is your final destiny—all of you—then He will inform you of everything you had disputed. The following quotation is taken from STUDIES IN JEWISH MYSTICISM , (Association for Jewish Studies, Cambridge, Mass., Joseph Dan & Frank Talmage, eds., Page 88, 1982). and similarly you find the word 'Elohim nineteen times in the pericope of Ve-'elleh shemot. . . . Similarly, you find that Israel were called "sons" nineteen times, and there are many other examples. All these sets of nineteen are intricately intertwined, and they contain many secrets and esoteric meanings, which are contained in more than eight large volumes. . .
and the disbelievers; they will say, "What did GOD mean by this allegory?" GOD thus sends astray whomever He wills, and guides whomever He wills. None knows the soldiers of your Lord except He. This is a reminder for the people. [74:32] Absolutely, (I swear) by the moon. [74:33] And the night as it passes. [74:34] And the morning as it shines. [74:35] This is one of the great miracles. [74:36] A warning to the human race. [2:135] They said, "You have to be Jewish or Christian, to be guided." Say, "We follow the religion of Abraham—monotheism—he never was an idol worshiper." [19:27] She came to her family, carrying him. They said, "O Mary, you have committed something that is totally unexpected. [19:28] "O descendant of Aaron, your father was not a bad man, nor was your mother unchaste." [19:29] She pointed to him. They said, "How can we talk with an infant in the crib?" [19:30] (The infant spoke and) said, "I am a servant of GOD. He has given me the scripture, and has appointed me a prophet. [19:31] "He made me blessed wherever I go, and enjoined me to observe the Contact Prayers (Salat) and the obligatory charity (Zakat) for as long as I live. [2:142] The fools among the people would say, "Why did they change the direction of their Qiblah?" Say, "To GOD belongs the east and the west; He guides whoever wills in a straight path." We thus made you an impartial community, that you may serve as witnesses among the people, and the messenger serves as a witness among you. We changed the direction of your original Qiblah only to distinguish those among you who readily follow the messenger from those who would turn back on their heels. It was a difficult test, but not for those who are guided by GOD. GOD never puts your worship to waste. GOD is Compassionate towards the people, Most Merciful. [2:144] We have seen you turning your face about the sky (searching for the right direction). We now assign a Qiblah that is pleasing to you. Henceforth, you shall turn your face towards the Sacred Masjid. Wherever you may be, all of you shall turn your faces towards it. Those who received the previous scripture know that this is the truth from their Lord. GOD is never unaware of anything they do. [2:145] Even if you show the followers of the scripture every kind of miracle, they will not follow your Qiblah. Nor shall you follow their Qiblah. They do not even follow each others' Qiblah. If you acquiesce to their wishes, after the knowledge that has come to you, you will belong with the transgressors. [22:26] We appointed Abraham to establish the Shrine: "You shall not idolize any other god beside Me, and purify My shrine for those who visit it, those who live near it, and those who bow and prostrate. [22:27] "And proclaim that the people shall observe Hajj pilgrimage. They will come to you walking or riding on various exhausted (means of transportation). They will come from the farthest locations." [2:130] Who would forsake the religion of Abraham, except one who fools his own soul? We have chosen him in this world, and in the Hereafter he will be with the righteous. [2:131] When his Lord said to him, "Submit," he said, "I submit to the Lord of the universe." [2:132] Moreover, Abraham exhorted his children to do the same, and so did Jacob: "O my children, GOD has pointed out the religion for you; do not die except as submitters." [2:133] Had you witnessed Jacob on his death bed; he said to his children, "What will you worship after I die?" They said, "We will worship your god; the god of your fathers Abraham, Ismail, and Isaac; the one god. To Him we are submitters." [2:134] Such is a community from the past. They are responsible for what they earned, and you are responsible for what you earned. You are not answerable for anything they have done. 4 How blessed are those who dwell in Your house; they are ever praising You. Selah 5 Blessed are those whose strength is in You, whose hearts are set on pilgrimage. 6 As they pass through the Valley of Baca they make it a place of springs; even the autumn rain covers it with pools. 7 They go from strength to strength, until each appears before God in Zion. [3:95] Say, "GOD has proclaimed the truth: You shall follow Abraham's religion—monotheism. He never was an idolator." [3:96] The most important shrine established for the people is the one in Becca; a blessed beacon for all the people. [3:97] In it are clear signs: the station of Abraham. Anyone who enters it shall be granted safe passage. The people owe it to GOD that they shall observe Hajj to this shrine, when they can afford it. As for those who disbelieve, GOD does not need anyone. [22:36] The animal offerings are among the rites decreed by GOD for your own good. You shall mention GOD's name on them while they are standing in line. Once they are offered for sacrifice, you shall eat therefrom and feed the poor and the needy. This is why we subdued them for you, that you may show your appreciation. The Hebrew word “mid-bawr” translated as wilderness in Exodus 5:1, is also used in Numbers 1:1 and 1:19. 19 As the LORD commanded Moses, so did he number them in the wilderness of Sinai. [20:40] "Your sister walked to them and said, 'I can tell you about a nursing mother who can take good care of him.' We thus returned you to your mother, that she may be happy and stop worrying. And when you killed a soul, we saved you from the grievous consequences; indeed we tested you thoroughly. You stayed years with the people of Midyan, and now you have come back in accordance with a precise plan. [17:107] Proclaim, "Believe in it, or do not believe in it." Those who possess knowledge from the previous scriptures, when it is recited to them, they fall down to their chins, prostrating. [17:108] They say, "Glory be to our Lord. This fulfills our Lord's prophecy." [17:109] They fall down on their chins, prostrating and weeping. For it augments their reverence. 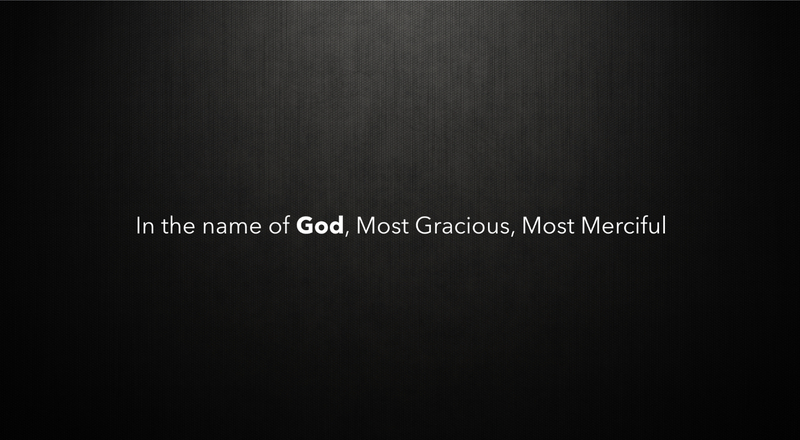 [17:110] Say, "Call Him GOD, or call Him Most Gracious; whichever name you use, to Him belongs the best names." [2:120] Neither the Jews, nor the Christians, will accept you, unless you follow their religion. Say, "GOD's guidance is the true guidance." If you acquiesce to their wishes, despite the knowledge you have received, you will find no ally or supporter to help you against GOD. [2:121] Those who received the scripture, and know it as it should be known, will believe in this. As for those who disbelieve, they are the losers. [2:122] O Children of Israel, remember My favor which I bestowed upon you, and that I blessed you more than any other people. [2:123] Beware of the day when no soul will help another soul, no ransom will be accepted, no intercession will be useful, and no one will be helped. [3:98] Say, "O followers of the scripture, why do you reject these revelations of GOD, when GOD is witnessing everything you do?" [3:99] Say, "O followers of the scripture, why do you repel from the path of GOD those who wish to believe, and seek to distort it, even though you are witnesses?" GOD is never unaware of anything you do. [3:100] O you who believe, if you obey some of those who received the scripture, they will revert you, after having believed, into disbelievers. [3:101] How can you disbelieve, when these revelations of GOD are being recited to you, and His messenger is in your midst? Whoever holds fast to GOD will be guided in the right path. [3:102] O you who believe, you shall observe GOD as He should be observed, and do not die except as Submitters. [6:159] Those who divide themselves into sects do not belong with you. Their judgment rests with GOD, then He will inform them of everything they had done. [6:160] Whoever does a righteous work receives the reward for ten, and the one who commits a sin is requited for only one. No one suffers the slightest injustice. [6:161] Say, "My Lord has guided me in a straight path—the perfect religion of Abraham, monotheism. He never was an idol worshiper." [6:162] Say, "My Contact Prayers (Salat), my worship practices, my life and my death, are all devoted absolutely to GOD alone, the Lord of the universe. [6:163] "He has no partner. This is what I am commanded to believe, and I am the first to submit." [6:164] Say, "Shall I seek other than GOD as a lord, when He is the Lord of all things? No soul benefits except from its own works, and none bears the burden of another. Ultimately, you return to your Lord, then He informs you regarding all your disputes." [6:165] He is the One who made you inheritors of the earth, and He raised some of you above others in rank, in order to test you in accordance with what He has given you. Surely, your Lord is efficient in enforcing retribution, and He is Forgiver, Most Merciful. [5:15] O people of the scripture, our messenger has come to you to proclaim for you many things you have concealed in the scripture, and to pardon many other transgressions you have committed. A beacon has come to you from GOD, and a profound scripture. [5:16] With it, GOD guides those who seek His approval. He guides them to the paths of peace, leads them out of darkness into the light by His leave, and guides them in a straight path.